Last year, NYFC released Building A Future with Farmers II, our report on the findings of our 2017 National Young Farmer Survey. We found that land access is the number one challenge facing young farmers and ranchers across America. The actions that we take now will determine what happens to the millions of acres of agricultural land expected to change hands in the coming years, and will impact the future of agriculture in this country. NYFC has a program dedicated to addressing the challenge of land access. We are working to ensure that farmland across America remains available for farming, accessible to all working farmers, and affordable on a farming income. Our land team is small but growing, and we have been busy! We thought you might like to hear a bit about what we have been up to over the past few months. First of all, a couple of introductions. Starting last year, we were finally able to call our land staff a team when Mike Parker and David Howard joined to work on our Finding Farmland Calculator and the New York State land access policy campaign, respectively. (As a sidenote, if you worked with Mike before August 2018, you might have known him as Mike Durante; he got married in August and is now Mike Parker—congratulations, Mike!) This fall, David has moved over to the grassroots team as the Northeast Campaigns Director and will be working on state-level policy beyond land access. 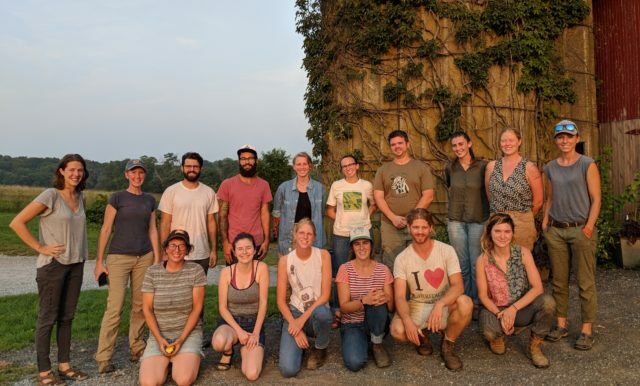 Our team grew again this past summer, however, when we hired Adrienne Nelson and Karen Gardner to work on our land access campaign in Pennsylvania. See all our staff bios here. 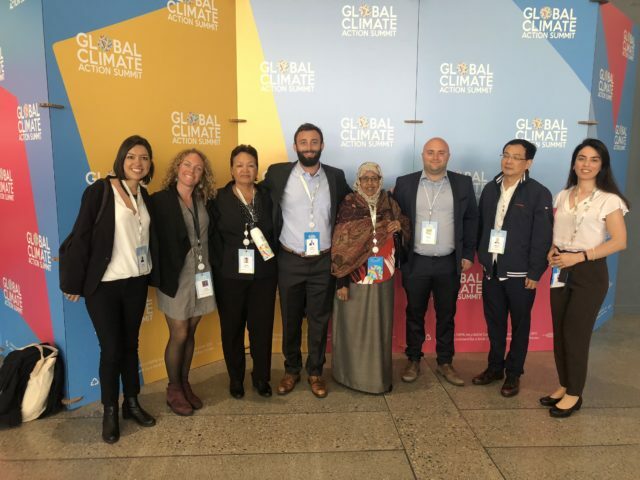 In September, I traveled to California with NYFC’s Western Program Director, Kate Greenberg, and California Organizer, Mai Nguyen, to attend the Global Climate Action Summit. I went to the Summit with the intention to think deeply about how a changing climate will impact farmers and ranchers, particularly when it comes to land access; and what we can be doing to ensure farmers have a seat at the table in conversations about addressing this challenge. Farmers are on the front lines of climate change and our relationship with land is changing as a result. As temperatures rise and certain regions of the country become less hospitable to growing crops and raising livestock, we are likely to see land values increase in other regions. Besides the fact that viable land is likely to become financially out of reach, land security may become more complex as a result as well. The uncertainty of weather conditions and water resources may make farmers less inclined to tie themselves to a plot of land with a 30-year mortgage just as the security of long-term access is becoming more critical for farmers to incorporate the kinds of practices that can help build resiliency and fight climate change. 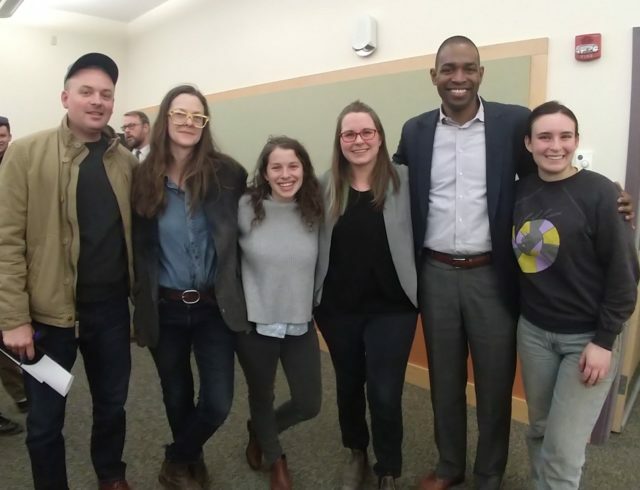 NYFC’s Western Program Director, Kate Greenberg (second from left), was named a Climate Trailblazer. Kate stands with other Trailblazers from around the world at the Global Climate Action Summit in San Francisco. In October, I spent a whirlwind of a week in Pittsburgh, Pennsylvania holding our ninth(!) Land Access Innovations Training with a number of local partners and participating in the annual Land Trust Alliance Rally, where I attended workshops and connected with conservation professionals from around the country. As we have moved around the country holding these trainings, it has been inspiring to see the increasing number of land trust staff committed to becoming stronger partners for farmers by incorporating affordable farmland access strategies into their work. Since 2014, we have trained individuals from over 100 land conservation organizations and have built a listserv with over 460 members to facilitate discussion of these issues beyond the trainings. In April 2018, we released our Finding Farmland Calculator—if you haven’t checked it out yet, take a look and see how it can help you learn about and plan for land access financing. You can use the tool to create a downloadable picture of various financing scenarios and to help you analyze what you can afford. Since April, Mike has been traversing the country presenting to farmers and farm service providers on financial concepts for land access and how to use the tool. He has led farmer trainings in Rochester, MN with Land Stewardship Project and in New York City with Farm School NY. 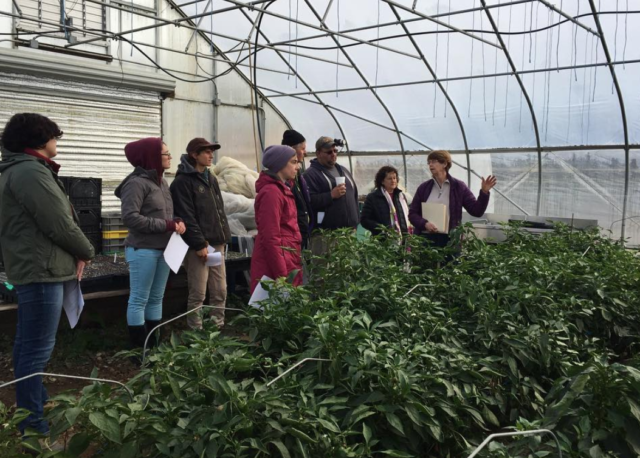 He has also presented on collaboration among farmer educators at the annual meeting for Beginning Farmer and Rancher Development Program grant recipients in Albuquerque, NM. Over the past few years, I have been an advisor on the American Farmland Trust’s (AFT) project to develop a national land access curriculum. This past weekend I got to see the materials AFT has developed in practice at a workshop organized by the Agricultural Stewardship Association in New York where Suzanna Denison shared information for planning your land access search and we toured two farms that are available for lease or purchase. Farmers tour The Berry Patch in Stephentown, NY. The farmers of this 25-year old operation are ready to begin transitioning the farm to the next generation. The past few months have been busy in the policy realm. At NYFC, it has been all hands on deck to make sure we have a new farm bill that represents the voices of young farmers and ranchers. As you may have heard, our current Farm Bill expired at the end of September and Congress has yet to pass a new bill. We will keep working with our federal policy and grassroots teams to keep land access issues front and center as we push Congress to pass a bill. At the state level, our focus has been on our affordable farmland protection campaign in New York, where we passed a bill and published a report (read more about our NY campaign here). In August, Governor Cuomo signed the Working Farm Protection Act into law, making working farm easements permanently eligible for state funding. As we continue to build our policy platform in New York, we are focusing in on land policy in Pennsylvania. Karen and Adrienne have been conducting farmer listening sessions around the state and have been conducting a survey to inform our work. If you’re a farmer in PA, take our survey and stay tuned for our upcoming white paper. Even if you can’t catch us at one of the upcoming events, there are plenty of ways to stay in touch with NYFC’s land team. Got a burning question or something you think we should know about? 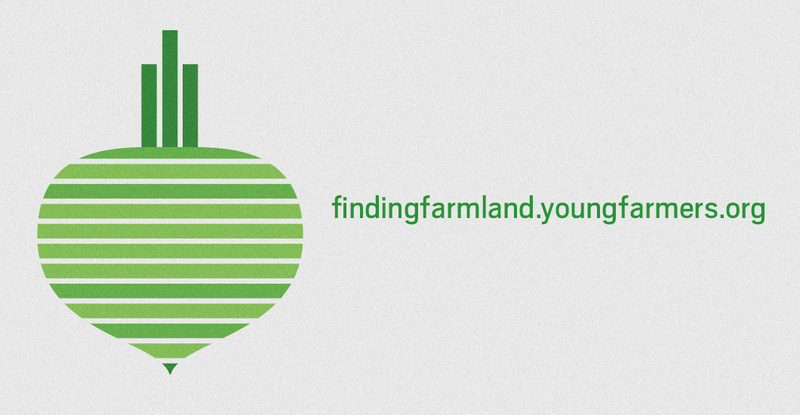 Send us at note at our new email: land@youngfarmers.org. Want to join the conversation? Become a member of NYFC to gain access to our farmer forum, where you can view and post land access opportunities. And stay tuned—we’re preparing to launch a free online Finding Farmland course this winter!